It's not enough to have a matching leash and collar. The latest -- and can we say kind of insane -- way to dress up your dog? A tattoo. One upscale dog grooming shop on Manhattan's Upper East Side is offering temporary tattoos for dogs for about $100. The glue-and-glitter body art is the latest craze to grip the pet industry, which has been booming from the sales of everything from pet IQ tests to DNA tests. "I really like outfits on my dog, but I thought a tattoo was kind of different," New York City pet owner Randy Mark, who owns 8-year-old Jackie, a Jack Russell terrier, told local news website DNAInfo, which first reported the story. Some owners are going even further. Last month, a North Carolina man and owner of a pitbull puppy named Princess stirred controversy when he posted photos of an actual tattoo on the young pup to social media, according to local news network WXII. 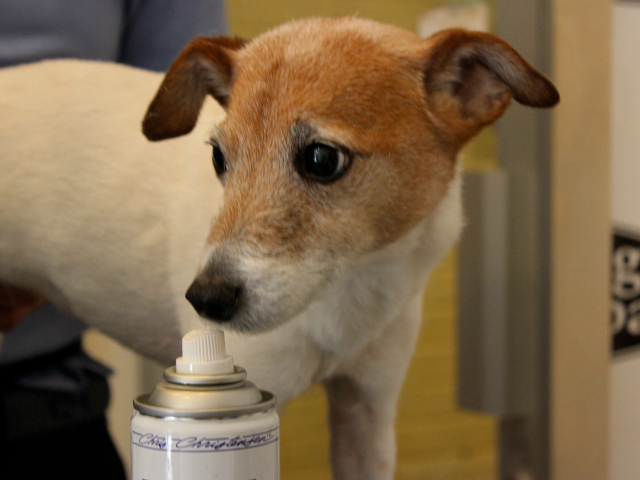 Whether the pet tattoos are temporary or permament, vets are not convinced that dogs need any embellishment. Dr. Patty Khuly, a veterinarian writing on Vetstreet.com said the real-ink tattoos were simply a "painful and unnecessary" procedure for animals. "As a veterinarian, I'd never agree to participate in such narcissistic shenanigans. I'm offended by this," she wrote in a blog post. 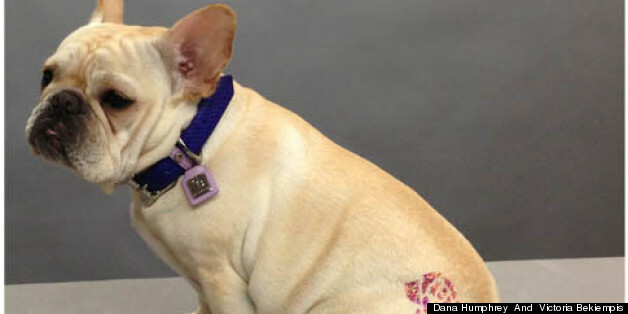 Some pet experts even caution against springing for a fake tattoo, because dogs will naturally want to lick off the glitter. But Jorge Bendersky, the New York City-based groomer who's Planet Jorge shop specializes in applying the temporary tattoos, said dogs like all the buzz the faux ink attracts on city streets. "Dogs are like humans, and when they accessorize they get attention," he told DNAInfo. He's about to get a tattoo. He's obviously excited.